The Gold Coast Titans have today confirmed plans to build a multi million-dollar leagues club on the northern Gold Coast. In a statement on Tuesday, club owners the Kelly and Frizelle families revealed architectural plans for the ‘Titans, Oxenford Community Club’ have been produced for approval. They said the 2,500 square metre facility, which is proposed to be built on an “easily accessible” parcel of council owned land in Oxenford, formed a large part of their proposal when purchasing the rugby league club in 2017. “As part of that proposal and central to the future of sustainability of the club was the establishment of an external business model, with the creation of the Titans, Oxenford Community Club” Co-owner Darryl Kelly said. It’s understood the club will be operated as a separate, not for profit entity and will see more than 80 local jobs created. 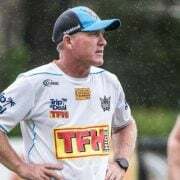 “The ‘Titans, Oxenford Community Club’ will be operated as a not for profit entity, with a team of four Directors appointed to provide the best level of operational governance, it will share just one common Director with the Titans Rugby league Pty Ltd company, however operate using a joint mission statement,” Mr Kelly said. Gold Coast Mayor Tom Tate says he’s behind the Titans plans to build the club in the “growth corridor”. “I love the proposed location up in the northern part of the Gold Coast,” he said. 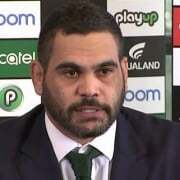 “What’s good about this is we know that the Titans will have longevity for years to come because the cash flow will be there. 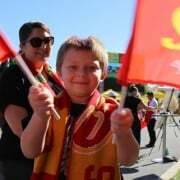 If approved by council, the ‘Titans, Oxenford Community Club’ is expected to be up and running by 2021.